Special issue on Jewish music Establishing a conceptual framework for the discussion of the liturgical music of the East Ashkenazi Jews cannot apply the commonly accepted notions of prayer, speech, sacred, music, and art as separate categories. 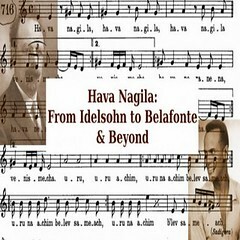 Rather, three fusion-groups are established to clarify aspects of East Ashkenazi culture: visual-material, wherein religious ideas and beliefs are fused with the object (the book); temporal-representational, wherein reading, melody, and bodily motion are fused into one act (prayer); philosophical-transcendental, wherein intellectual, emotional, transcendental, and ritual aspects are fused with the act of prayer. These categories are artificial constructs in that they are not really separate. For instance, melody is inseparable from text, and text is inconceivable without its melody. Similarly, meaning is not separable from a transcendental state, and neither meaning nor religious state is separable from the actual performance of the text with melody. Thus, melody does not express meaning - it becomes one with it. These ideas are explained and illustrated by documents coming from the sacred written sources and from practices observed and opinions gathered over 20 years of fieldwork.